This is one of the oldest temples (around 1000 years) built by the Chola, Pandya and Vijaynagar kings. This temple is about 10 kms from river Pennaiyar. Streams of this river is called Pamba. 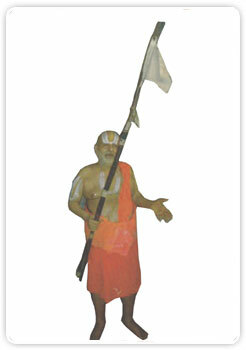 Sri Pancha Mukha Anjaneyar at Panchavadi. Sri Thiru Vikraman at Tirukoviloor about 30 kms in distance. Sri Thiruvendhipuram Devanathan about 35 kms in distance. It is said that as part of the culverts Godess lakshmi and Saraswathi took the blessings of Sri Varadarajan and Nagaraja got Papavimosanam. People having kalasarpa dhosam are advised to visit this temple and seek the lord’s blessings on their Janma Natchatthram day. By bowing down before the Thulabaram the devotees sankalpams get fulfilled namely, bad health, delayed marriages, improvement in studies, and family’s peace of mind and mitigation of sarva dhoshas. It is proved that the visitors from the neighbouring villages get their vows fulfilled. 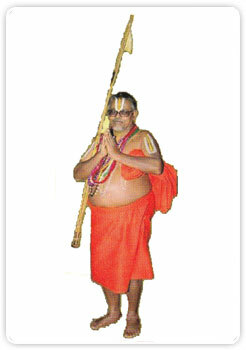 Sri Varadaraja Perumal is in standing posture on round lotus peedam which is very unique, with sangu chakra gadha. 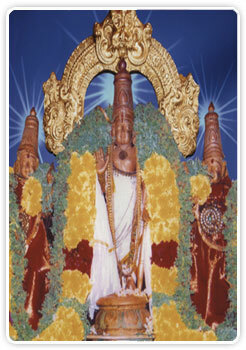 Sri Laksmi Narayanan with Srilakshmi in a sitting posture. This is a rare sight of two Moolavars in one sanctum sanctorum. Sri Perundevi Thayar in a sitting posture is also unique here. Also there is Anjaneyar and Garudan Sannadhis, Nagar, Chakarathalwar, Ramanujar, Desikan, Vishwaksenar and Krishnan. This temple is equipped with temple Bell and Thulabaram. After 100 years Sri Utsava moorthy was taken for thiruveedhi ula and this would continue. During Deepavali, Pongal and Navarathri days also special poojas and individual thirumanjanams are carried out.